Due to heightened global migration and transnational mobility, many residents of the world's cities lack national citizenship in the places to which they have moved for work, refuge, or retirement. The disjuncture between citizenship and daily life has led to devolution of claims from national to urban space. Within nation-states characterized by structured inequalities, citizens have not reduced their social differences. This leads increasingly to calls for greater direct involvement of marginalized classes in reshaping the institutions and spaces directly affecting their lives.These concerns—cities without citizenship and people without political power—inform the agendas of organizations that seek to restructure urban citizenship in more democratic directions. 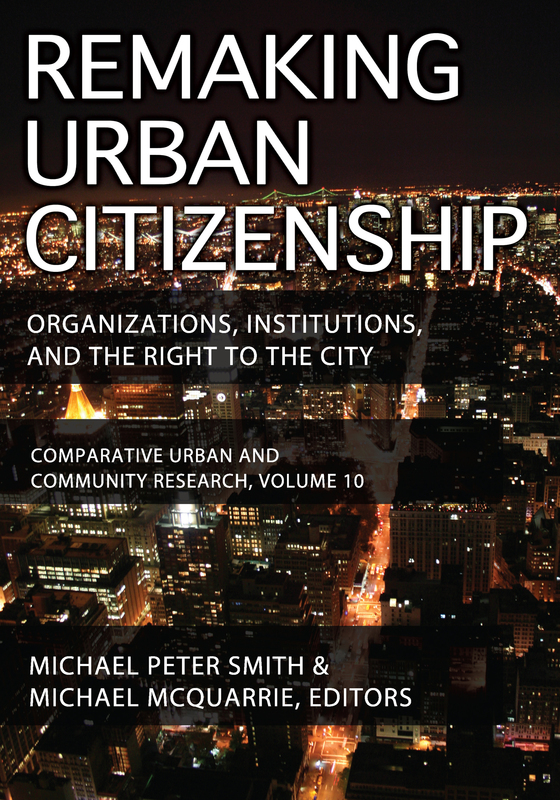 Remaking Urban Citizenship focuses on the uses and limits of such political organizations and coalitions, shows the various ways they pursue expanded rights within the city, and describes the institutional changes necessary to empower global migrants and popular classes as urban citizens.Offering individual or comparative case studies of cities in the United States, Europe, and China, contributions to this volume describe the development of actual practices of organizations working to reinvigorate citizenship at the urban scale. Collectively, they locate institutional forms that help migrants lay claim to their cities, show how migrants can become politically empowered, and identify how they can expand their rights or find other ways to belong.